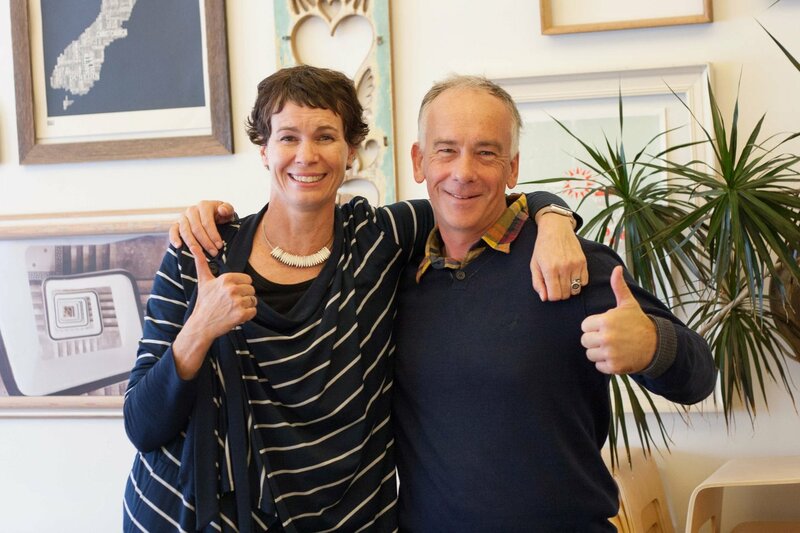 Springload and Touchtech have merged to create the largest independently owned digital agency in Wellington. Touchtech’s native development and AI capabilities, and Springload’s human-centred focus will provide a much broader offering to customers. Most of us, if we’re honest, would like to make a difference. Change people’s lives in some small yet significant way. Many companies make this one of their stated aims. Today’s current and emerging technologies make that more possible than ever. But what happens when you realise you don’t have the scale to make a true dent in the universe? If you’re anything like Springload founder Bron Thomson and Touchtech CEO Andrew Smith you start thinking about broadening your horizons. Reading the future like the great soothsayers of old, both could see what was needed to prepare for the fourth industrial revolution. Grow. Change. Adapt. Or, be barrelled into irrelevance by this all-encompassing digital wave. They chose the former. 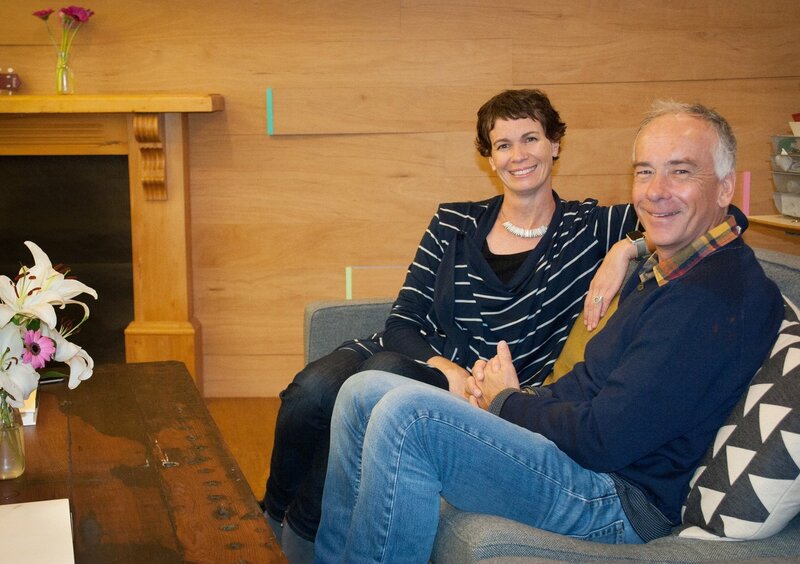 Now we have one of the most exciting mergers in New Zealand’s digital industry. “To be the best, and to be able to impact lots of people, sometimes you just need scale. This merger feels like it’s a step change for us, for our growth and our ability to make a really tangible impact for good,” Bron says. We’re now the largest independently owned digital agency in Wellington. Bron Thomson (Founder and CEO, Springload) and Andrew Smith (CEO, Touchtech). Let’s roll back that digital server for a moment. Like all good things, they take time. And this merger is no different, having undergone a well-considered 12-month courtship. It began over coffee and cornflakes at a CEO breakfast organised by WREDA (Wellington Regional Economic Development Agency) where Bron and Andrew, ahem, first locked eyes. Metaphorically. “After a few meetups and conversations it became obvious we weren’t really out and out competitors. That’s when we seeded the idea that maybe there was a way to combine our two businesses to make something better together,” Andrew says. Individually our strengths are quite different. Touchtech has a deep development focus that encompasses emerging technologies such as AI and Machine Learning. They’re also skilled in native mobile app development, API development, and SilverStripe. While Springload also has a strong development ethos, our capabilities are much broader with a strong focus on customer and user experience, design, and content. The conversations over breakfast eventually grew into a strategic partnership that we used to test our ability to work together. We started with smaller projects graduating to larger and more complex ones. The real litmus test was working on Inquisitive, which is an artificial intelligence-based, educational platform. Our combined design, development and AI efforts resulted in a unique product and a very happy customer. The success of the Inquisitive project proved we could work together as a merged entity. But was it the rule or the exception? There are so many examples of mergers failing because of mismatched organisational cultures. How were we going to prevent the same happening to us? Apart from leveraging our individual capabilities, it’s the alignment between our two cultures that makes us such a good fit. We put people first: clients, customers and staff. We share some of the same values such as empathy, honesty and curiosity. We work hard and care deeply about what we do. Improving lives and making a difference come before turning a profit. We’re both quite partial to pizza, too. To make sure we didn’t suddenly throw everyone into a blender and expect them to mix, we’ve been holding various ‘get-to-know-each-other’ activities over the past year. This has eased the transition. “We know the success rate for mergers isn’t high and are aware the value of a business is its people. If we join together and a whole lot of people leave then we’ve completely lost the value of it. This is why we wanted to do it slowly and carefully” Bron says. During the courtship period, Touchtech and Springload leadership have been catching up on a two-weekly basis to talk about the combined business. This was an opportunity to discuss any significant hires, and how we might combine on client work and pitches. “For our [Touchtech] staff the merger is a chance to move up and be part of a larger company that has more diversity in it, which I think our people are hankering for. It’s almost like they’re starting a new job, but they get to take their teammates with them. You’re getting the best of both worlds,” Andrew says. The merger is also the result of some honest moments of reflection. Sometimes you’ve just got to admit you can’t do it all on your own. Touchtech wanted to offer design and UX services at a much higher level than they currently were. At the same time Springload needed to get involved in an emerging technology like AI if it was to remain relevant long-term. We both knew building these capabilities individually would take time. Merged, we can make the most of Touchtech’s deep development focus and AI capability, and Springload’s human-centred approach. This puts us right at that intersection where technology and humanity meet – the real beauty and benefit of this merger. The opportunities for growth and improvement are immense. Merging not only broadens our tech capability, but provides a more complete and future-proofed offering to customers. We’re now truly full-service: UX, content, design, development (native app, mobile and desktop), product and AI. Not only will we have more doers and makers, but an increased strategic capability. Since the merger was announced internally in mid-March, we’ve become increasingly more integrated. We’re working towards a deadline of relocating the Touchtech team to Springload’s Dixon Street premises by early May. We’re accommodating an extra 20 plus people, which brings our total digital expertise to almost 70. Fitouts are happening. New desk spaces are being found. A larger kitchen area is being built. More coffee machines are being ordered. Parties are being planned. But we’re in no rush to retire the Touchtech brand. There are strategic advantages to keeping it alive and we’ll reevaluate how things are going in six or 12 months. We’re sure there will be challenges ahead as we work towards becoming a fully-integrated entity. It’ll take a little time to understand how we all work and get to know each other’s quirks. But a good foundation for communication and community has already been built. This will help us negotiate any moments of uncertainty that are bound to occur as we go through the merger process. “Finally there’s a large company in our local market (Wellington) who has the technical gravitas to deliver massive projects but with the focus on user and customer experience. There are a bunch of development companies out there that are doing really big pieces of work but they don’t understand the experience side. That’s what we can offer, which is massive,” Bron says.